The design for the Yoked Cycling Cape began as I rode my bike out to an appointment one fall day. I wasn’t bundled up enough, and I knew exactly which areas needed more coverage! Also, I wanted to be able to un-bundle as I got warmer. Thus, a flexible design for a double-breasted turtleneck cape was conceived. The turtleneck is reversible and can be worn fully buttoned up over your nose to keep your face warm on a very cold day, or worn unbuttoned as a collar. 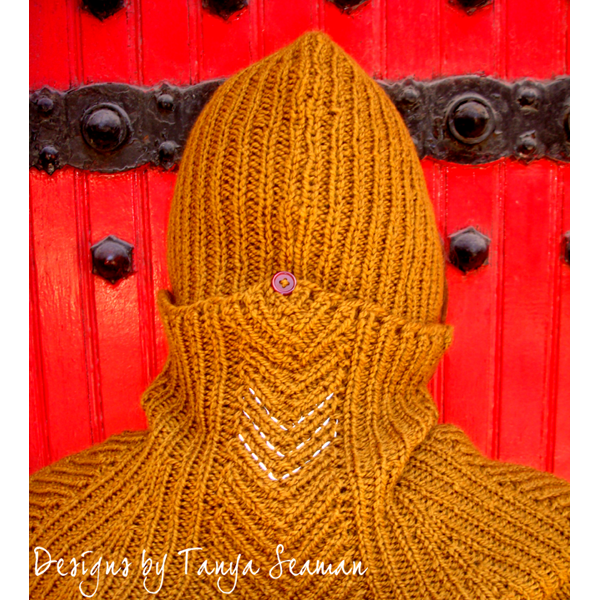 The hood buttons to the top of the turtleneck, and is shaped to fit snugly under a bicycle helmet. 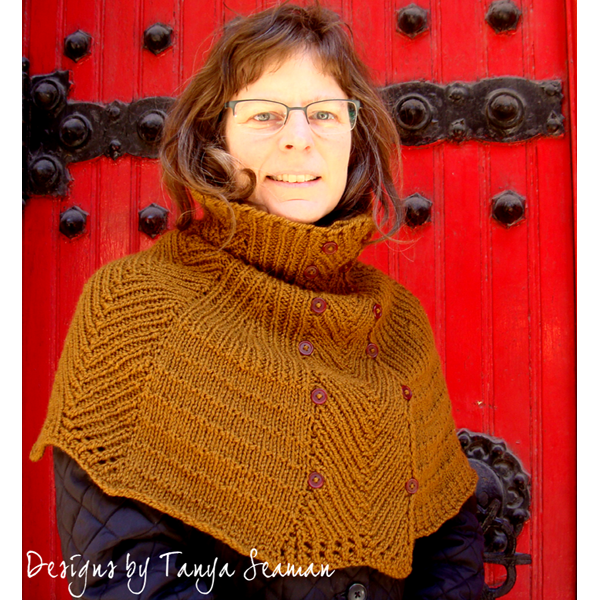 The cape is knit in one piece from the top down. When I learned about the Sustainable Cycles team of women traveling across the USA to discuss sustainable menstrual cycles (using reusable products), I decided to design this for two of them to wear on their long trip. Pattern accommodates ten sizes from small to extra large (dimensions around arms AND chest: 39 to 66 inches). 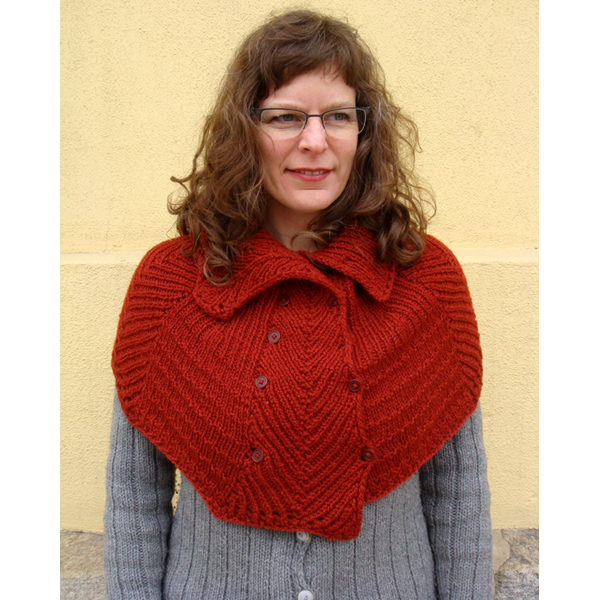 Length from top of turtleneck to bottom of cape: 15 to 20 inches depending on size. Yarn requirements: 460 to 800 yards worsted-weight yarn. 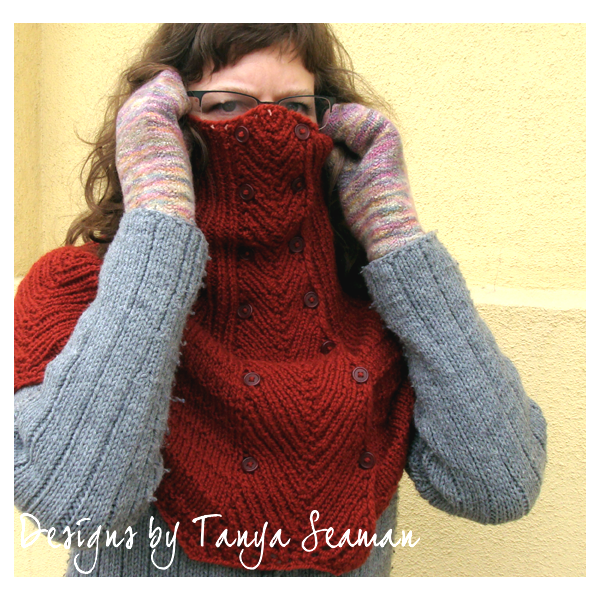 Skills required: increasing, decreasing, ribbing, eyelets. Instruction provided for a Kitchener join in 1x1 ribbing with external references to video and pictorial tutorials for basic Kitchener. Lion Brands Yarns generously supported this project by providing ample yarn for the cyclists’ capes. 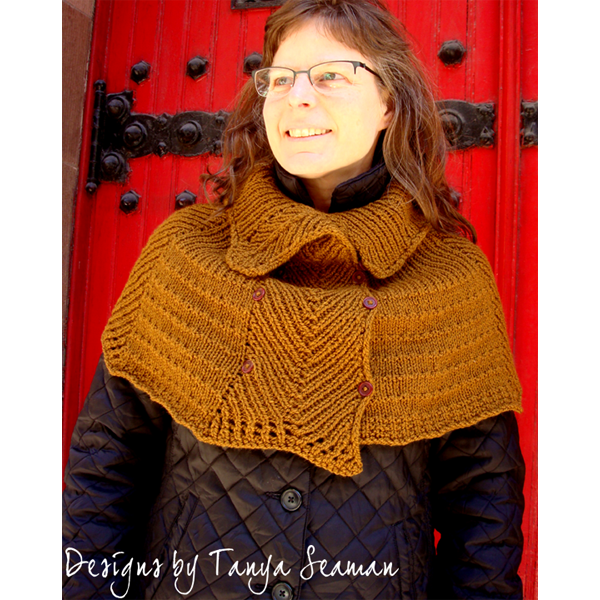 The pattern for the Yoked Cycling Cape is available online. 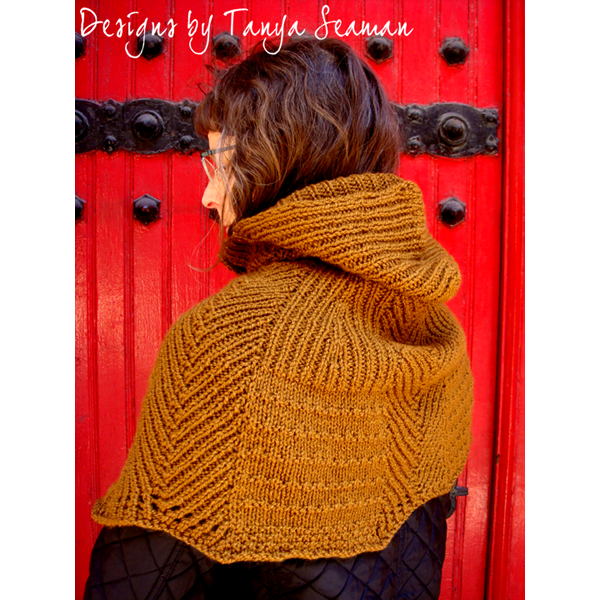 If you’d like to be alerted when I release new patterns (and receive promo codes! ), click here.